The Henry Jackson Society held an event, which discussed the “revival” of the Silk Road route, whereby the location of Gilgit-Baltistan is crucial. On November 6, 2012, an influential think tank The Henry Jackson Society, in collaboration with the Washington based Institute for Gilgit Baltistan Studies, held an event titled “Gilgit-Baltistan: South-Central Asia’s Socio-Economic Integration and Regional Politics” at the House of Lords which focused on reviving the infamous southern branch of the Silk Route to help transform the resource-rich region from being a battleground of three nuclear states into a hub of trade, tourism, economic integration and cultural exchange. Lord Sir Clive Soley of Hammersmith facilitated the discussion and the panel consisted of Mumtaz Khan, Executive Director of International Center for Peace and Democracy, and Senge H. Sering, President of the Institute for Gilgit Baltistan Studies. This is for the first time that an NGO working on Gilgit-Baltistan like Institute for Gilgit-Baltistan Studies has held an event in association with the likes of Henry Jackson Society, which has the backing of several senior politicians and ministers linked with the current regime and military. Senge H. Sering stated that revival of travel across the line of control between Gilgit-Baltistan and Ladakh would help more than ten thousand divided family members reunite after almost seven decades. At the same time, it will help revive the Himalayan culture to counter rapidly growing extremism and transform the economy of the poverty stricken disputed region. Gilgit-Baltistan can interlink Central Asia with Ladakh, Nepal and Tibet which will boost potentials of eco-tourism and bring much needed revenue. He said that the recent statements by US Foreign Minister Hilary Clinton on reviving the Silk Route were encouraging to bring Gilgit-Baltistan into the limelight. 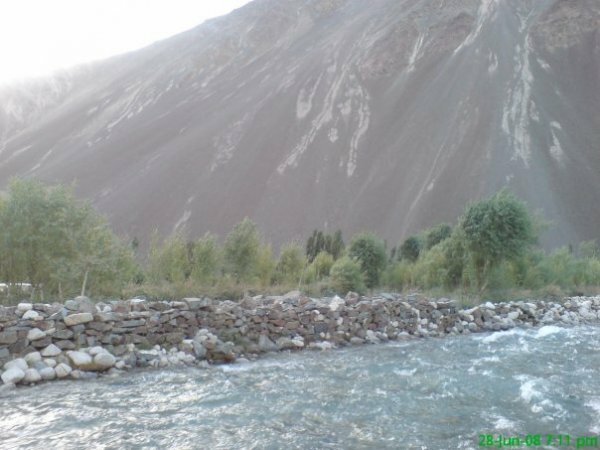 Senge Sering suggested that parliamentarians and cultural and sports troupes from Gilgit-Baltistan and Ladakh should be allowed to hold joint performances, and music and polo and archery tournaments should be initiated across the LOC. He proposed establishing joint institutions to monitor the glaciers. He urged both governments to open bank branches across the LOC in Gilgit-Baltistan, and help local cottage industry including carpet making become a profitable business. He said that children under the age of 10 and the aged above 60 should have visa free travel between Gilgit-Baltistan and Ladakh. He proposed a drastic reduction in troop placement along the LOC. He asked governments to introduce special packages for tourists who apply for multiple destinations extending from Central Asia and Afghanistan to Nepal and Bhutan. He told that Central Asia has the potential to supply abundance of natural resources to both India and Pakistan and Gilgit-Baltistan can help those dreams materialize. “A resource starved country like Pakistan cannot afford to spend more on wars as the citizens do not have adequate access to electricity, heating, water, cooking gas and fuel for vehicles and industries”, he said. He urged that governments should ensure a major role in decision making and revenue distribution for the people of the Himalayan regions including Gilgit-Baltistan when it comes to extracting benefits from resources and transit. He said, “Trade can become sustainable if the revenue spent translates into improved standards of living for the local communities”. In the last he said that China’s role in South Asia will increase with the possible withdrawal of NATO forces from Afghanistan, which puts sudden excessive pressure on the land, society and resources of Gilgit-Baltistan, and that Pakistan and China should respect the concerns and demands of the locals in this regards. Mumtaz Khan, Executive Director of International Center for Peace and Democracy, described how closed borders, a lingering war and presence of armed forces and Taliban affiliated militants have impacted the religious, cultural and economic composition of Pakistan controlled Kashmir and Gilgit-Baltistan, and how the opening of trade routes could contribute towards greater stability in the region. He urged the governments of India, Afghanistan and Pakistan to expedite work on the TAPI gas line which will interlink economic destiny of all these warring nations. He talked about Indo-China trade models which has help commerce boom to over 70 billion dollars despite lingering border disputes. He said that border disputes should not be used as an excuse to deprive people of Kashmir and Gilgit-Baltistan the right to free travel and trade with their kith and kin across the LOC. In the end, Senge Sering thanked the Henry Jackson Society and Sir Clive Soley for their role in materializing this event and bringing a better sense of understanding among the participants about the issues of Gilgit-Baltistan and Kashmir.